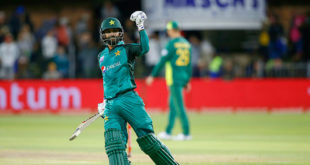 PORT ELIZABETH: Pakistan all-rounder Mohammad Hafeez has said that they were confident about chasing down the target, after restricting South Africa to 266 runs in first One-Day International (ODI). Talking to media following the five-wicket win over South Africa in Port Elizabeth, the veteran all-rounder was pleased with the way Men in Green played. “It wasn’t a par score on this track so we were really confident that we will chase this down and everyone just responded very well,” said Hafeez. He also appreciated the efforts of bowlers for restricting South Africa to a low total. “The bowlers did the job for us, we were thinking of restricting them to 290-300 but our bowlers did well. Once it was 266 we were confident and we knew one good partnership would do the job for us. 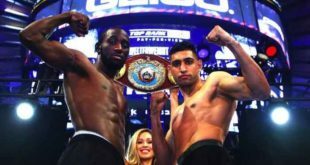 It was a complete, comprehensive victory for us which is what we were looking for,” he said. 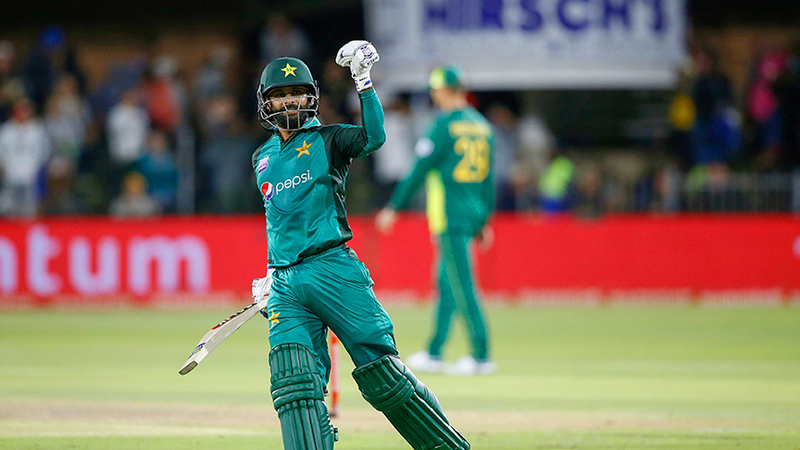 Hafeez – who was awarded player of the match for his unbeaten 71 – also said that Imamul Haq and Fakhar Zaman’s opening stand set the tone for the run chase. This was the highest ever run chase by Pakistan against the Proteas in South Africa. Furthermore, the Professor stated that this victory is very important to setup the momentum for Sarfraz-led unit for remaining four matches in the series. “It was very important to have the first win of the series as it always gives a momentum to your dressing room,” he said. Mohammad Hafeez’s 71* seals the first ODI against South Africa with five wickets and five balls in hand. Pakistan and South Africa will now square off in the second ODI of the series in Durban on Tuesday, January 22.